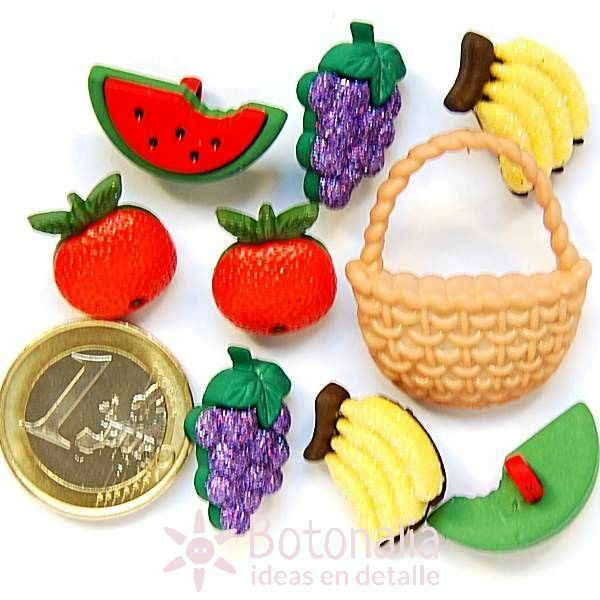 Product Description: Buttons with shapes of summer fruits and a basket. Ref. Dress-It-Up: 0132. To be used in needlework, craft, scrapbooking, patchwork and card making projects. 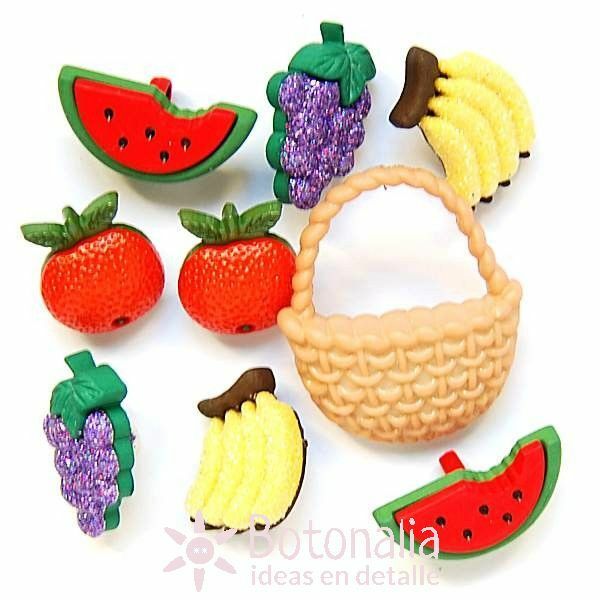 Content: 9 buttons (8 frutos and 1 cesta) in various colors. There can be variations in colors in the packing compared to the reference picture.